There is an increased awareness for walking and cycling these days thanks to the increasing number of advocates and the aggressive and persistent campaigns for people to take up these modes of transport instead of the motorised forms. In the Philippines, the joke has been for people to have the propensity to ride a jeepney or tricycle even for short distance trips that elsewhere would be considered walkable. Why is it like this? Are Filipinos really lazy? Or is it a matter of not having the facilities for people to be able to walk safely and comfortably? I believe it is the latter case that discourages people from walking. There is the fear that you can get sideswiped by errant vehicles driven by reckless drivers or riders. There is also the impression that you can get injured from uneven paths or incur unwanted exposure to the elements (e.g., heavy rains, floods, punishing heat, etc.). 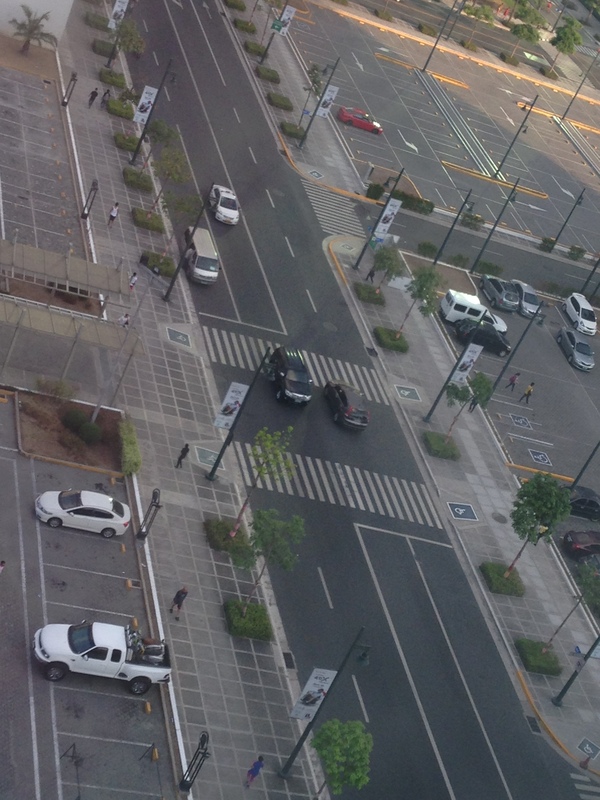 30th Street in Bonifacio Global City is a good example of how roads in urban areas should be developed. Note the wide spaces provided for walking and cycling and the limited space (4 lanes) for motorised traffic. I just hope that the wide pedestrian spaces are not intended for future widening of roads for motorised traffic. During early mornings and evenings you will find many joggers along this road and around Bonifacio High Street – proof that the environment is conducive enough for such activities. On the ground, 30th Street looks every way walkable with the trees providing the shade (and oxygen) to make walking an attractive option anytime of the day. Pedestrian crossings should be clearly marked and in the case of BGC, even those at signalised intersections are painted as zebra crossings (more appropriate for unsignalised crossings) instead of the standard parallel line markings. Unfortunately, whatever may be the case for these cross walks, most motorists seem to be unaware of the rule that once a pedestrian steps on the cross walk, then motorists should give way to the pedestrian. Motorists should also slow down upon approaching a cross walk – something not commonly seen in the Philippines. Atop a typical pedestrian overpass – I took this photo at an overpass along C-5, which is an example of the more recent overpasses constructed in Metro Manila. Previously, there were a number of issues regarding overpasses constructed during the time when Fernando was MMDA Chair including slippery steel floorings, low railings and steep stairways (i.e., not friendly to senior citizens and persons with disabilities). 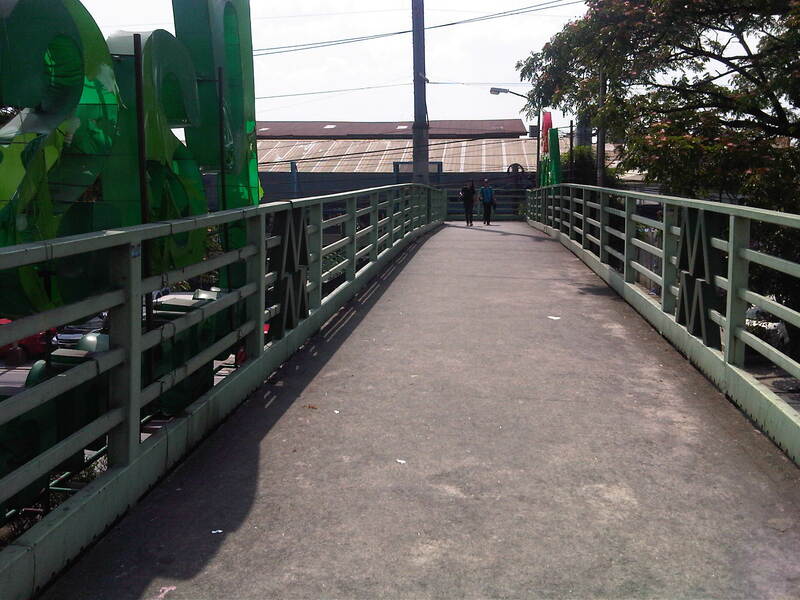 This overpass has a more sturdy design and the railings provide users with a sense of safety. Stairs are also less steep than those of previous ones. More on walkability in future posts! By d0ctrine in Pedestrian, Policy, Transport Planning on June 9, 2014 .